Photo by Mike Pare /Times Free Press. 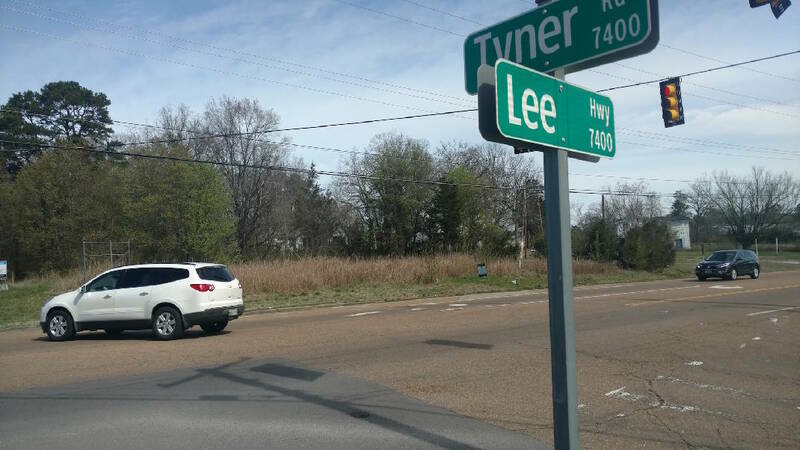 A plan for a new pizza restaurant off Lee Highway in the Tyner area has won approval from a Chattanooga panel even after a neighbor worried about the eatery's proximity to her residence. Hot Rocks Pizza is slated to open in October at Lee Highway and Tyner Road, said John Smotherman, who plans to put up the restaurant in a more than $1 million investment. The proposed restaurant project is to go before the Chattanooga City Council on April 9. "We'll build a nice dining establishment," he told the Chattanooga-Hamilton County Regional Planning Commission earlier this week. "There's nothing like this around this area." The city panel recommended to grant Smotherman's request to rezone the tract at 7445 Lee Highway from R-1 Residential to C-2 Commercial with conditions. The city council is expected to take up the matter on April 9. Henrietta Hill, who lives adjacent to the vacant parcel where the restaurant is to go, had concerns about the serving of alcohol at the eatery and the location of its dumpster. "I'm worried that later it will become just a vacant building next to my house," she added, noting that it could become a location for homeless people. "This is right next to us. We don't want it there." She also said there are several schools and churches nearby, and there's already a lot of traffic. Smotherman said the law requires no serving of alcohol within 500 feet of a church or school, and the restaurant will abide by those requirements. He added that the investment he's preparing to plow into the site is significant. "It's not something we'd walk away from," Smotherman said. "It won't happen in this case." City Councilman Darrin Ledford, who also serves on the planning commission, said he wanted to discuss with Smotherman the dumpster's location before the project comes before council members. Ledford suggested relocating the dumpster further away from the adjacent residential area. Smotherman said he understands the concern of the residents. "I've already talked with them," he said. "We want to make sure we're neighborly." The businessman also said he'd plans to maintain pest control services for the restaurant. "In today's business environment, you have to maintain the highest standards or people get buried on social media," Smotherman said.